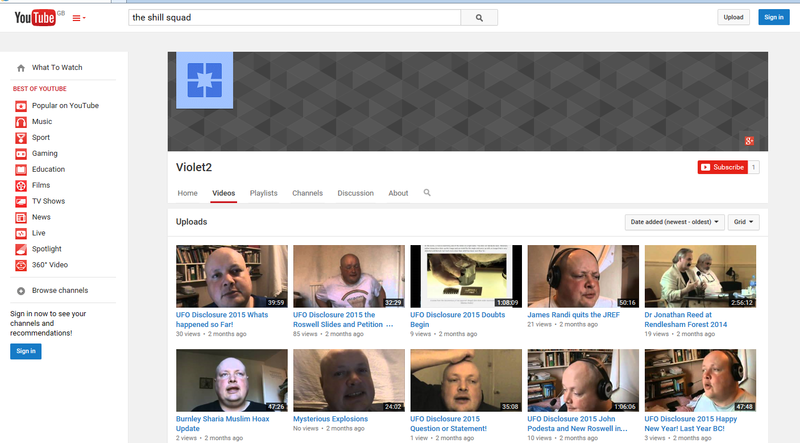 A YouTuber called "Violet2" has taken it upon herself (I'll assume she's female) to mirror seventeen of my HPANWO TV uploads, mostly from the previous year. She has changed some of the titles slightly. This must have been a time-consuming task downloading them from my channel and uploading them to hers. It's very much appreciated. Her viewing counts are very low which leads me to suspect she hasn't put in any tags, but please give her some views on the links below. Thanks very much, Violet. Ben Emlyn-Jones at High Wycombe Paranormal: https://www.youtube.com/watch?v=AVWfsKUXemM. Helen Duncan Wartime Psychic Jailed: https://www.youtube.com/watch?v=m0TSzr3hU6M. Interlude a Reply to Slaxxxer: https://www.youtube.com/watch?v=kkmPbAQOAH4. People of Scotland please vote No I mean YES! : https://www.youtube.com/watch?v=HAg7BufPP3Y. The Bases Project Conference 2014: https://www.youtube.com/watch?v=1cSP0ZkHzY8. UFO Disclosure 2015 Happy New Year! Last Year BC! : https://www.youtube.com/watch?v=Nub9YuXF74A. UFO Disclosure 2015 John Podesta and New Roswell in Canada: https://www.youtube.com/watch?v=fdJ1DheAXNY. UFO Disclosure 2015 Question or Statement! : https://www.youtube.com/watch?v=UkeFL5IaJ98. Burnley Sharia Muslim Hoax Update: https://www.youtube.com/watch?v=JtrmLI8RRWA. Dr Jonathan Reed at Rendlesham Forest 2014: https://www.youtube.com/watch?v=rs-TAwaJ_b4. James Randi quits the JREF: https://www.youtube.com/watch?v=-njRxMbh3Ps. 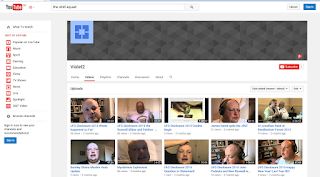 UFO Disclosure 2015 Doubts Begin: https://www.youtube.com/watch?v=T1KUnhBUsR0. UFO Disclosure 2015 the Roswell Slides and Petition Deadline: https://www.youtube.com/watch?v=06x7e3t4vjs. UFO Disclosure 2015 Whats happened so Far! : https://www.youtube.com/watch?v=Jv_XPbu5t6U.